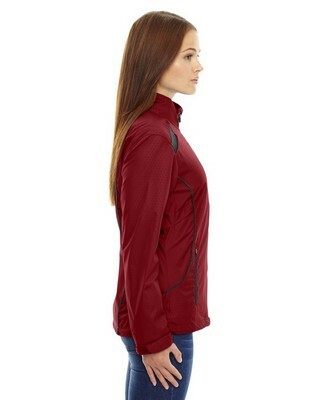 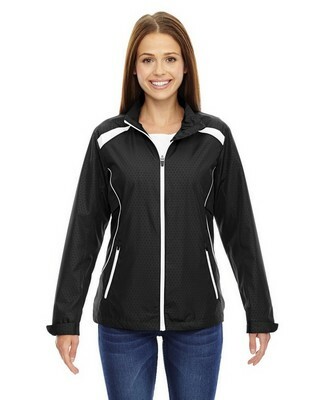 This custom logo North End ladies tempo lightweight jacket features underarm vents and chin guard. 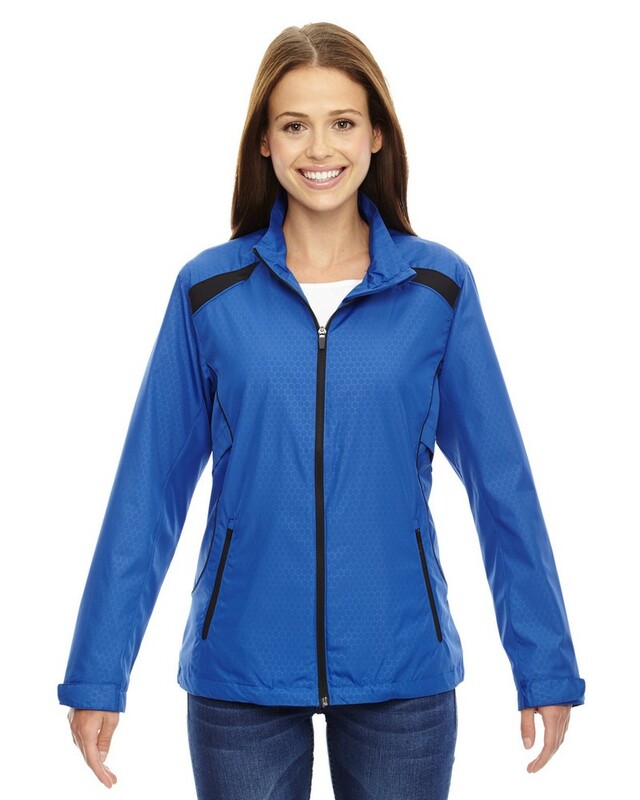 Open bottom mesh lining and adjustable cuffs with tabs. 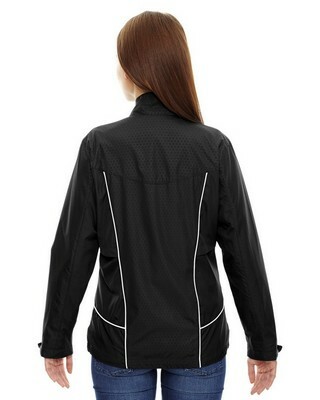 Adjustable shock cord at hem with access through front pockets. 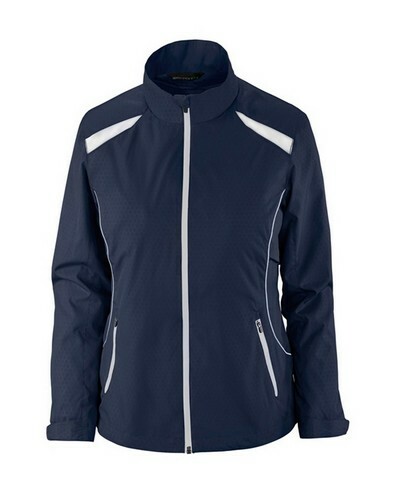 Our promotional North End men's tempo lightweight polyester jacket has adjustable cuffs with tabs.